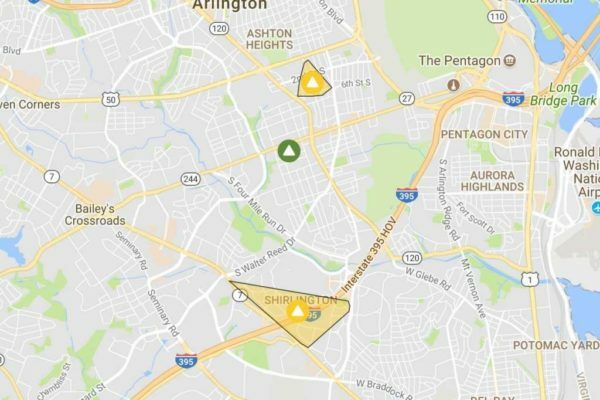 Several power outages were reported in Arlington Saturday morning. Small outages were reported along Columbia Pike and in the Westover neighborhood, while larger outages were affecting the Shirlington and Fairlington areas and the neighborhood around Thomas Jefferson Middle School. According to Dominion’s website, 1,025 customers are without power in Arlington as of 9:45 a.m. For each of the Arlington outages, power is expected to be restored by 4 or 5 p.m.